There’s nothing quite as relaxing as a visit to the salon for a relaxing pedicure. But if you’ve heard horror stories from other people about how they caught an awful fungal infection after getting a routine pedicure, it’s understandable if you’re a little concerned. So, what does this mean for your monthly indulgence? Should you stop going to the pedicurist altogether? Is it even true that pedicures can put you at risk of fungal infections? Here are some answers as well as some handy tips to help you keep up your beauty regimen without raising the health risks from exposure to fungi and bacteria. Toenail fungus can arise from numerous causes, some of which are related to injury and illness and others due to a fungal infection. Your body already has fungus it is exposed to. But in certain circumstances, like the presence of a moist and warm environment, there is an overgrowth of fungi beneath the nail or on it. Fungi responsible for problems like ringworm, athlete’s foot or jock itch can also cause toenail fungus. Your toenails are more likely to develop such problems than your fingernails because the closed shoes and socks you wear create the exact moist and warm environment that fungi love! Why You Might Get Fungus From a Pedicure? Those with weakened immune systems, diabetes or other medical conditions like poor blood circulation are more at risk of contracting toenail fungus than others. This applies to all scenarios, including a visit to the pedicurist at the salon. If you smoke or have family members who smoke, that elevates your risk too. People who spend a lot of time in water may also contract fungal infections more easily than others. If you already have a toenail or foot injury, that exposes you to greater chances of being affected by toenail fungus. This doesn’t mean that every single person with such conditions will pick up such an infection, nor does it make everyone else immune to the problem. It is important to stay alert and exercise some caution in your choice of salon and therapist. Discoloration of your toenails. The toenail may develop spots or patches of yellow, white, black or green. As the condition progresses, the discoloration will spread across the nail, covering it entirely. Thickening of the affected nail. Distortion of the nail. Toenail fungus causes nails to change shape as well as texture. Difficulty in trimming nails because of odd shape, texture, and thickness. Brittle toenails or toenails that crumble easily. Toenails begin to crack easily. They are more fragile than normal healthy nails. Swelling and infection in the skin surrounding the toenail that has the fungus. The skin might start to crack or become itchy and infected. Discomfort or pain. This might happen when you apply pressure to it or even otherwise. Left untreated, the fungus could cause bigger problems. The infection could spread beyond the nails to other parts of the body. It could even enter your bloodstream and become very risky to your general health. At the very least, your nail might be badly discolored, or you might wind up permanently losing your nail to infection. Everyone needs a little indulgent pedicure now and then. But if you’re worried about catching a fungal infection from getting a pedicure, you might step on the side of caution and avoid them altogether. The good news is you don’t need to steer clear of pedicure completely. Just follow these precautions when you’re having one done, and you should be just fine. Always go to a reputed salon to get your pedicure done. If they aren’t careful about maintaining basic cleanliness, you could easily wind up catching something from another client. A good pedicurist will alert you to a problem if they spot signs of a fungal infection so that you can have it attended to. Reputed salons also want to prevent any infections between clients and will take extra precautions like sterilizing all equipment and sealing it until it is used. Often, the sealed kit for your pedicure will be opened in front of you. Ask that all the equipment be sterilized, preferably in your presence. If you’re unsure about whether or not the nail salon or pedicurist is sterilizing their equipment properly, simply bring your own! Request them to use only your tools for your pedicure. This rule applies to things like nail polish, nail varnish, creams, and other grooming products used on your feet during the pedicure. Just carry your own! Sharing these things makes you vulnerable to toenail fungus. Ask that your nails be trimmed across or with a gentle curve but not too aggressively at the sides. After your pedicure, make sure your feet are properly dried out before you slip on your socks or shoes. Fungus and bacteria love moisture! Do not walk around the salon barefoot. You could run the risk of picking up an infection from someone else who’s used the salon. Ask the pedicurist to trim your nails, so they are not too long. Long toenails can be breeding ground for bacteria and fungus. If they’re short, you’re less like to accumulate dirt and microbes beneath the nail. If you are unfortunate enough to pick up toenail fungus, there are some simple ways to tackle the problem. They don’t need anything more than commonly available ingredients. These all-natural remedies are quick to toss together and effective too! Try soaking your feet in a mix of warm water and antifungal remedies. 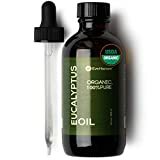 You can get Tea Tree Oil and add a few drops to the water or pick up a ready tea tree foot soak from the market which comes with other oils designed to moisturize and soften the You can also just apply tea tree oil to the toenail that has the fungus directly. Do this a couple of times a day, and in a few weeks (or months for worse cases), you should see the fungus go away completely. Apply Eucalyptus Oil to the nail with toenail fungus for antifungal effects. Baking soda, an ingredient that’s easily available in most homes or at neighborhood stores, can be used in foot soaks or applied directly to the toenail as a paste (mixed with some water) to get rid of toenail fungus. You’ll need to follow this regimen every day for a few weeks or more to make it work. Coconut Oil also works well to battle fungus and can help nourish your nails as well. Epsom salts make a great relaxing soak for feet affected by toenail fungus. They also help with pain if you’re facing that as a result of the infection. Ageratina pichinchensis or Snakeroot extract is an effective home remedy for fungus on the toenails. Whatever the remedy you’re using, be sure to keep doing it for a few months to ensure you’ve seen the last of that fungus. It can be tempting to stop earlier when things look like they’re improving, but doing this might mean you see a recurrence of the problem once you stop the treatment. And remember, to avoid the problem in the first place, there’s no better solution than a little extra care and caution when you go to the salon for your pedicure. If you’re hesitant about trusting a pedicurist, just pick up some indulgent products and pamper yourself with an at-home pedicure. Armed with this information, you’ll never have to worry about getting a fungus from a pedicure again!